Rev. 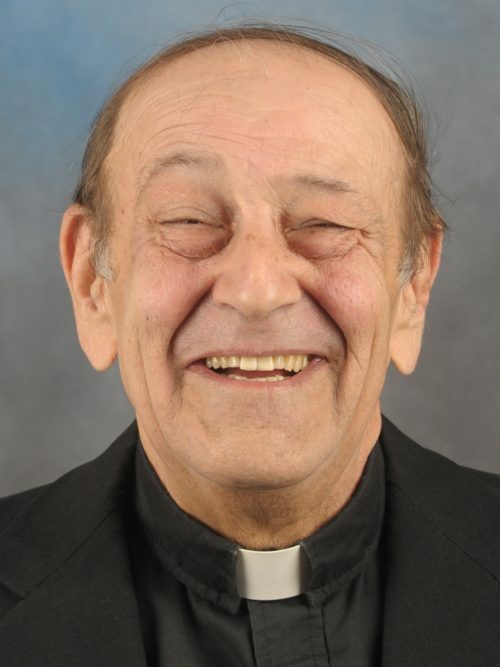 Edward R. Czarnecki, longtime associate pastor at Our Mother of Good Counsel Catholic Church in Blasdell, died Sunday in Hospice Buffalo, Cheektowaga. He was 78. Born in Buffalo, he was a graduate of Diocesan Preparatory Seminary, Christ the King Seminary at St. Bonaventure University and St. John Vianney Seminary in East Aurora. He was ordained May 21, 1966, by Bishop Stanislaus J. Brzana in St. Joseph New Cathedral. Rev. Czarnecki’s first assignment was to St. Joseph Mission in Bliss. He was named assistant at Transfiguration Church in Buffalo in 1967, Our Lady of Czestochowa Church in Cheektowaga in 1970 and St. Hyacinth’s Church in Dunkirk in 1971. He became associate pastor at SS. Peter and Paul Church in Depew in 1975 and Fourteen Holy Helpers Church in Gardenville in 1976. His tenure at Our Mother of Good Counsel began in 1981. He retired in 2014. He was a member of the Knights of St. John and Knights of Columbus. He also was a Defender of the Bond in the Tribunal of the Diocese of Buffalo. Survivors include a sister, Anne Haak. A Mass of Christian Burial will be offered by Auxiliary Bishop Edward M. Grosz at 11 a.m. Friday, March 22, in St. Anthony’s Catholic Church, 417 Commercial St., Farnham.